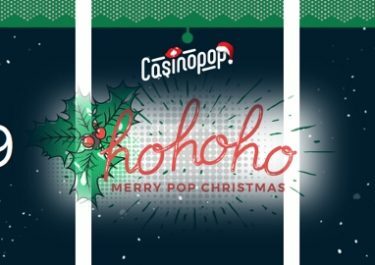 CasinoPop – May Pop Daily Treats! Get ready for daily Free Spins, bonuses and other goodies! Extra rewards keep coming at Casino Pop this month that will allow players to light up their gaming sessions with extra casino treats every weekday. Introducing a new week of Pop Daily Treats where they give away bonuses, Free Spins and other goodies to all eligible players. A perfect opportunity to maximize the fun and chances to hit some monster wins. On top, there are extra treats on level up for Silver and Gold members. May has been a fabulous month so far at Casino Pop as they will fill every week until further notice with awesome specials that will reward all those players stopping by from Monday to Friday. Free Spins, Epic Spins, generous bonuses, tournaments, challenges and one day per week a surprise offer will make for great gaming throughout the coming weeks.